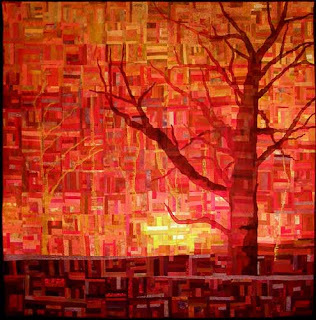 Lisa Walton presents the the first Friday showcase for 2011 at the Guild office at 10am on Friday, 5 February 2011. All welcome! ($5.50 entry fee) Lisa is an award winning quilter and textile artist, maker and seller of hand dyed fabric and beads, and a very popular tutor. 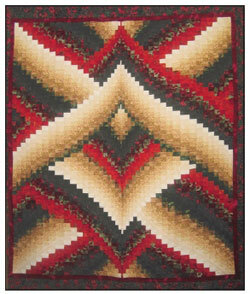 Lisa was awarded the final Jewel Pearce Patterson International Quilt Teacher Scholarship, in Houston, America 2010 and will be teaching Guild workshops on 23 and 24 July (information to follow). Many members have contacted the Guild over the past weeks wanting to know what can be done to help the Queensland families who have lost everything in the recent floods. I have been in contact with the President of the Queensland Quilters and recently received this letter with details on how we can all help (copied below). At the Guild general meeting on the 12th February at Burwood RSL we will be accepting donations of any sewing related items - pins, needles, threads, rulers, rotary cutters etc., these items will be forwarded to the Queensland Quilters to distribute to Guild members. Financial donations will also be accepted. The recent floods in Queensland have caused terrible loss and grief for a lot of people. The size of this devastation is unimaginable. Queensland Quilters Inc. is organizing the collection and distribution of comfort quilts for flood victims. We would appreciate the donation of quilts. The preferred sizes range from 1m x 1.50m (40”x60”) to 1.2m x 1.80m (48”x72”) but anything you are able to give is appreciated. We have many Affiliated Groups, members and sponsoring businesses in affected areas. As they live and work in these areas, we are using this network to assess the need for these donations. If your group would like to prepare sewing related care packs we will accept these also. We are also offering some financial assistance to our Affiliated Groups making quilts and we anticipate that they will use these funds to purchase requirements within their local communities. We currently have 70 groups across the state. One group we have heard from had their premises flooded and has lost their library, among other things. If you would like to contribute financially this would also greatly assist us. Queensland Quilters Inc, GPO Box 2841, Brisbane 4001. 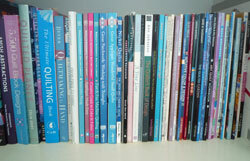 Guild members are welcome to visit the office to chat with other quilters, browse and borrow books. If that is not an option for you, requests can be submitted via email, post, fax or phone (not available to members outside Australia). It is advisable to give a list of 6-8 titles, in order of preference, to ensure we can have some books in the post to you within days. You may choose to reserve a title that is unavailable at the time of your initial request. Three books may be borrowed at one time (three magazines count as one book). The Guild pays the outward postage and the member pays the return postage. Books may be kept for one month; the due date is shown on the pocket in the front of the book. Please ensure that books are returned on time and in good condition.